A man has been accused of stalking a former partner and her new boyfriend. David Wotherspoon, 30, denies engaging in a course of conduct likely to cause the couple fear and alarm in Wallace Court in Hawick over a three-month period. It is alleged that he persistently texted and approached her, struck the door of her property, refused to leave when requested, sent the pair of them abusive and offensive messages, engaged in abusive Facebook conversations and followed her in his car. Wotherspoon, of Howdenbank, Hawick, faces a second charge of careless driving in Wallace Court on September 6. 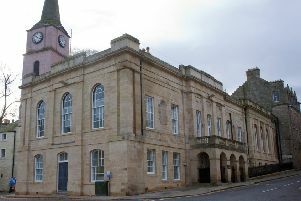 A trial date has been fixed for March 8 at Jedburgh Sheriff Court, with an intermediate hearing on February 5.